Many leaders think the key to effectiveness is their experience. Others believe it is their education or training. Still others rely on their charisma. While these are valuable, they are not the most important. The single most significant leadership tool you have is your heart. Knowing what it is and how to use it is the key to leadership effectiveness. 1. Your heart is the essence of your identity. The Bible uses the word “heart” more than a thousand times. It represents your authentic self—the core of your being. Too often, our emphasis is on the outward appearance rather than the inner condition of the heart (see 1 Samuel 16:7). 2. Your heart should be your top priority. After a lifetime of learning and making mistakes, Solomon told his son, “above all else, guard your heart” (Proverbs 4:23). He didn’t say, “If you get around to it …” No, he said it should be his—and our—number one priority. 3. Your heart gives life to your organization. Solomon goes on to say the heart is “the well-spring of life.” This is true for your own life, but it also true of your organization. The contents of the well spill into the lives of those you lead. This is why it is so important to make sure our hearts are healthy. 4. Your heart is under constant attack. If the heart is as important as Solomon says it is, it stands to reason Satan would make it his primary target. Recent research shows that people in ministry are particularly vulnerable to losing heart. This is why we must remain aware, alert, and willing to fight. I conclude with an exhortation to practice the “Disciplines of the Heart.” If you are going to be effective, you must recover your heart and learn to use it as you lead your organization. Individuals and organizations who want to focus on becoming and developing strong, effective leaders. I have spoken on this topic to a wide array of industries—financial advisors, radio industry executives, publishers, business consultants, retailers, small business associations, and churches, and relief organizations. This presentation can be delivered as a keynote, ranging from 30–60 minutes long, depending on your needs. The ideal keynote length is 45 minutes. It can also be delivered as a one or two-part workshop. If it is delivered as a two-part workshop, I cover “Four Truths About the Heart” in the first session and “Disciplines of the Heart” in the second session. 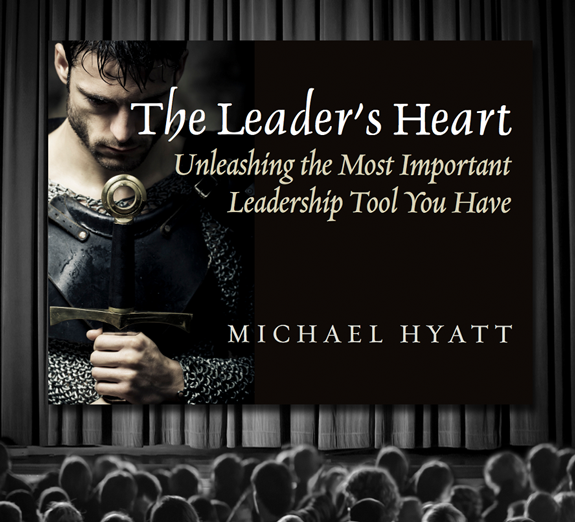 Audience members will be convinced that their heart is their single most important leadership tool and see the importance of placing a higher priority on using it. Audience members will understand four truths about the heart and why these are essential in the context of trying to lead any organization. Audience members will leave with practical, actionable steps they can implement immediately. I led the company through the Great Recession, going through two rounds of layoffs, slashing expenses, restructuring debt, and emerging as one of the fastest-growing, most profitable publishing companies in the world. I also lead an enormous online tribe. My blog is the top leadership blog in the world, with more than 300,000 visitors a month. I have written more than 450 posts on the topic of leadership. 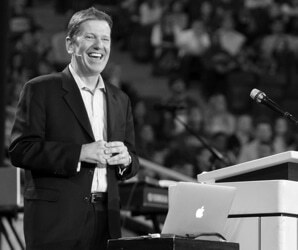 “Vanderbilt University loves Michael Hyatt. He is the top-rated speaker in both our Executive and MBA programs. He is a CEO ‘who walks his talk.’ He can both do and teach—a powerful leadership com­bi­na­tion. His talks overflow with compelling leadership stories and lessons. And his delivery is superb. I highly recommend him.” – Richard L. Daft, PH.D.